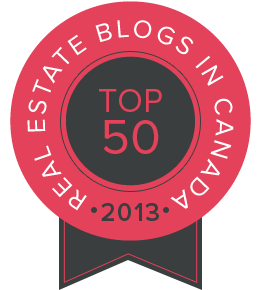 It's no surprise that with its strong real estate market, Canada has lots of great personal and corporate real estate blogs. Blogs which provide expert opinions and analysis, original research, news, but also homeowner tips and advice for investors, buyers and sellers. These blogs are not only rich in original content, but are also pleasant to look at, and easy to navigate. The owners cater for these blogs and respond to comments, have all the relevant social media accounts and are active on at least one or two of them. Many of these blogs are frequently updated and their witty posts are shared all across the Canadian real estate blogosphere. Check out our 2014 rankings! 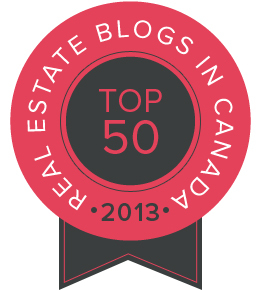 So as we wrapped up the year, let's have a look at our selections of the top 50 real estate blogs in Canada in 2013 according to our criteria. We hope that you'll find our list accurate, but feel free to comment below! 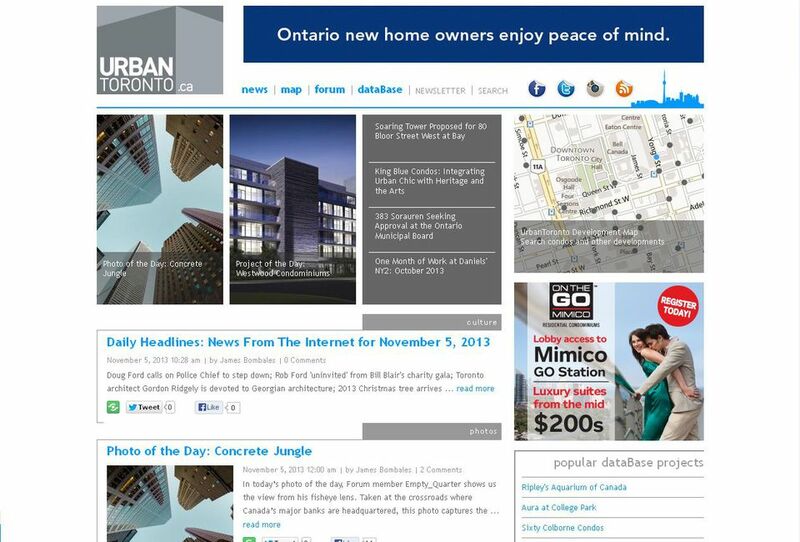 As one of the leading Toronto websites focused on urban development, architecture, condos, and real estate in general, Urban Toronto covers all these topics with interesting articles full of first-class information on everything you want to know about urban development. We believe it's the most comprehensive source of information for anyone interested in real estate and development in the economic capital of Canada. You won't get just dull data here — the site is full of wonderful pictures of Toronto and it's packed with simple yet eye-catching design. The site is also well known for its lively forum and community. The site has more than 15,500 registered members and its social media are blooming as well. The blog is regularly updated — several new articles are published every day, covering topics of new developments, renovations, changes, and real estate market news or interesting facts from the urban history of Toronto. That is the everlasting topic pool of Urban Toronto. 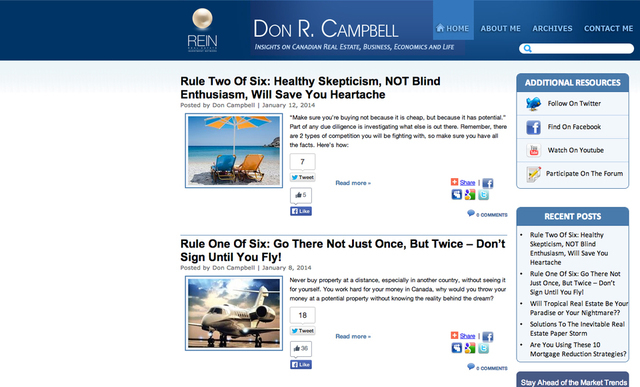 This is the personal blog of the author, investor, researcher, educator, and co-founders of REIN (Real Estate Investment Network) — Don R. Campbell. Don provides abundant information about mortgages, strategies, trends, and tips and he posts information on events and workshops and lots of other interesting material. The articles are all written from Don's perspective and are full of his thoughts and insights, which add a little human touch to the strict business topics. So if you want to read some advanced and detailed information on the real estate market written by a real authority, this is the place for you. And don't forget to follow Don on Twitter for some fresh news! 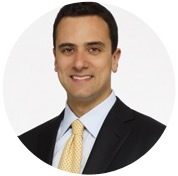 As a long-term member and former president of the Toronto Real Estate Board, a speaker on many real estate conferences and a successful veteran Realtor, Richard Silver is a "household name" among Toronto real estate agents. 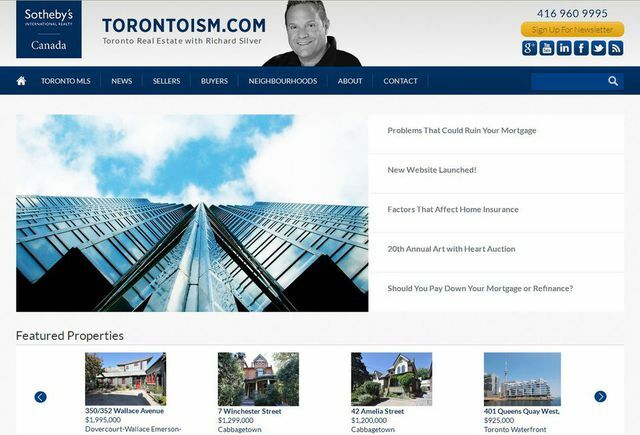 The simple yet effective website, which has been recently completely revamped, is in Sotheby's' blue and white colours with the blog full of readable articles not only about real estate but also on topics like eating out, interesting events in Toronto, and many others. Don't forget to check out the Toronto Photo Essays section if you want to see some beautiful shots of the city. Richard Silver is also very active on his social networks and has his own YouTube channel which features several popular neighbourhood profiles narrated by Richard himself. The best-selling author of books about economy, politics, real estate, and the financial crisis — Garth Turner has written his personal thoughts and comments on this blog since 2005. The strength of his articles lies in the garrulous and elegant writing style, showing the topics in their naked form and put in a way that everybody will understand, yet it's not plain dumbed down. Garth's many years' experience and sense of humour melts into these snappy articles and his blog is definitely worth reading. 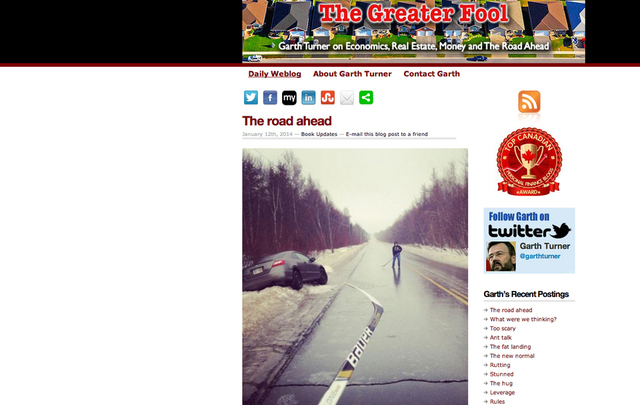 Garth is also quite well established on Twitter, so give him a look and a follow. This modest-looking website of Toronto realtor Julie Kinnear and her team offers more than meets the eye. Apart from the usual real estate services, the website that adopted the Inukshuk as a symbol and philosophy has several blog categories — from Toronto real estate news, through movie and book reviews, to green lifestyles. So under the surface, there is plenty to discover. Even though most of the content is (logically) meant for local residents, even a visitor to the City of Toronto can benefit from reading tips on events in the city or places to shop. Real estate market reports and home improvement advice are also included. Julie is active on Facebook, Twitter, and Google+. The Red Pin is surely one of the most interactive and modernly designed websites on our list. 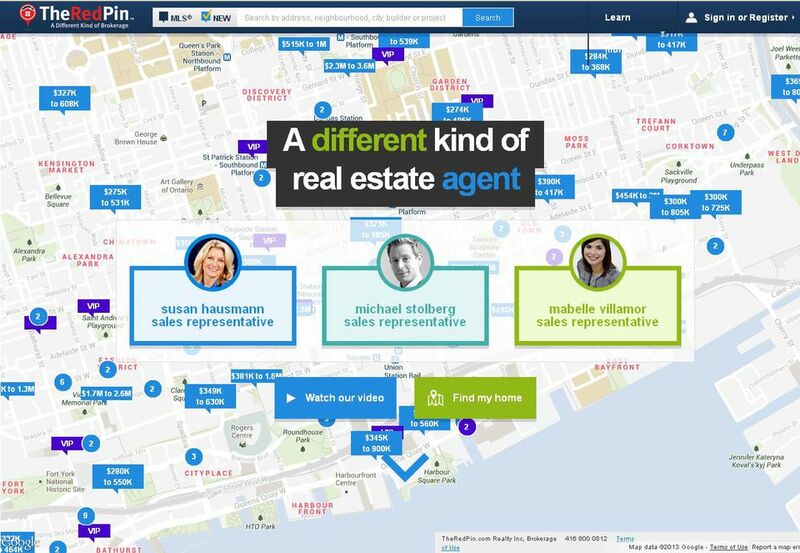 An interactive map of Toronto to help clients easily navigate in their search for a new home is just one of the pros. What we care about in our list is the blog content, and that's updated regularly on The Red Pin. Of course, not all the articles are meant for the general public. Many articles are spotlights on specific condominiums and homes or even streets, which is of course helpful, but doesn't add as much value as insight into a whole neighbourhood. Those kinds of articles are also present, but in a much smaller number. The huge amount of data and interactivity make the site slower and sometimes buggy, but this is not a real concern even though some of the pop-up messages can be annoying after a while. The Red Pin is active on Twitter, Facebook, and Google+. 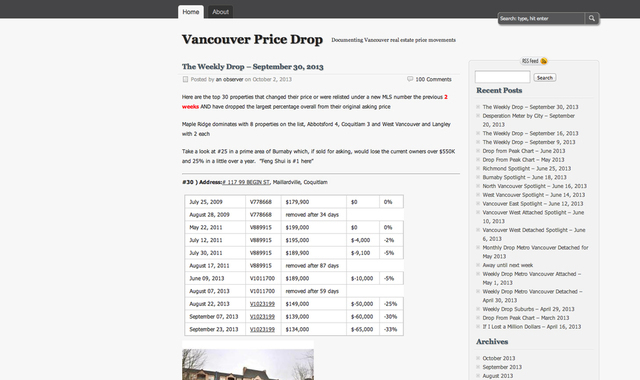 The main purpose of this very simple-looking blog is to map price drops on the Vancouver real estate market on a weekly basis since April 2012. 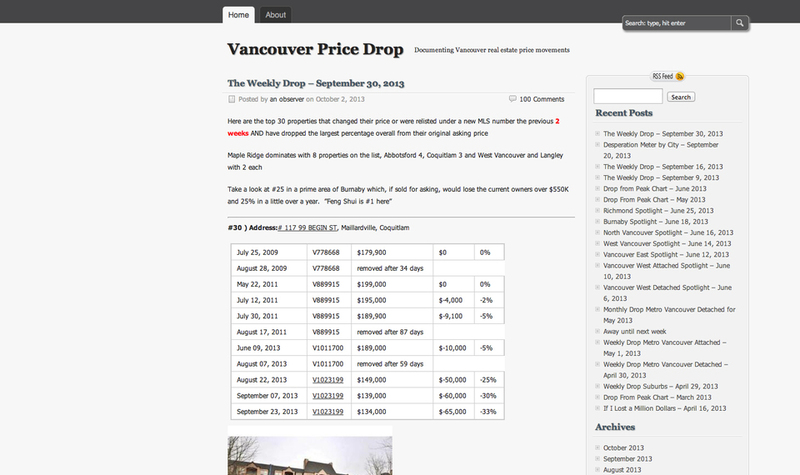 Every week, you can read the list of 30 properties whose prices dropped the most during the given period. 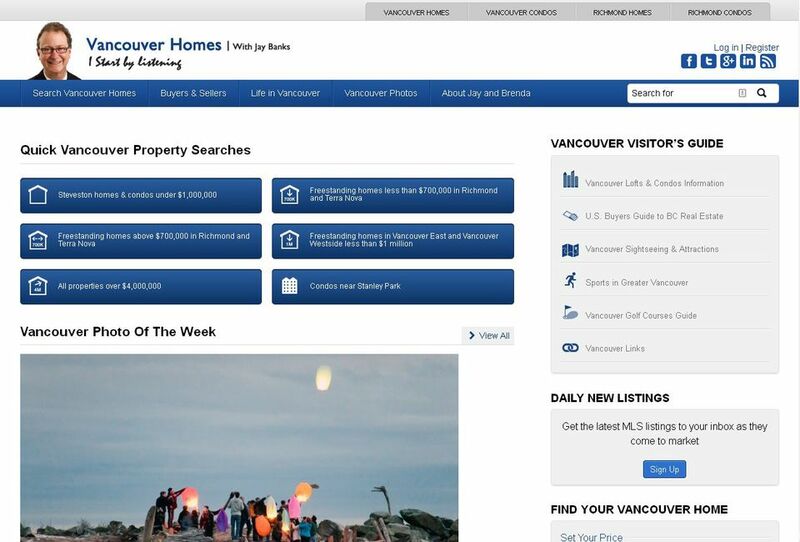 In addition, the blog offers extensive information on price drops based on location, real estate with the longest listings on the Vancouver market, or the "If I Lost a Million Dollars" section, which maps the top price drops based on the amount of money the price was reduced from. This blog is really unique in its dedication to in-depth monitoring of a large number of houses on the market and delivering actual price information. The only downside, beside the very minimalistic web design, is the anonymity of the author. 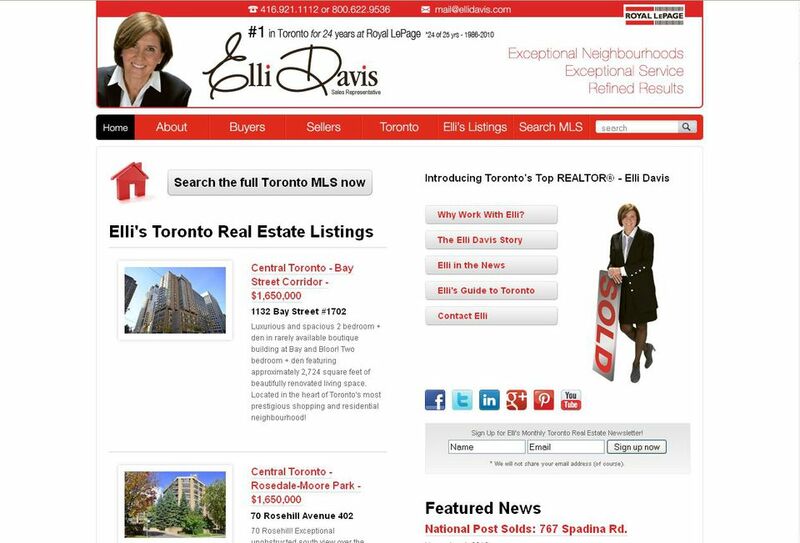 As one of the true real estate veterans, the name of Elli Davis rings a bell to almost everyone who has something to do with residential real estate in Toronto. So how does her website fare in our list? 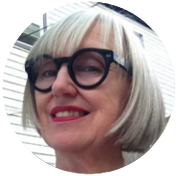 Her blog flourishes with regular updates on the latest real estate developments in and around Toronto, a regular overview of local events and festivals worth attending, tips for your household, photo essays, and more. The content is unique and in many cases aimed not only at buyers or sellers — but even people with no intention to buy or sell. The bright red and white colour scheme may not be the best, but the website is more than easy to navigate through each of its well labelled sections. Elli Davis is active on Facebook, Twitter, LinkedIn, Google+, Pinterest, and her own Youtube channel. One of the more "buzzing" websites in the real estate world, Buzz Buzz Home's primary aim is to list new-construction homes in Canada and the USA. 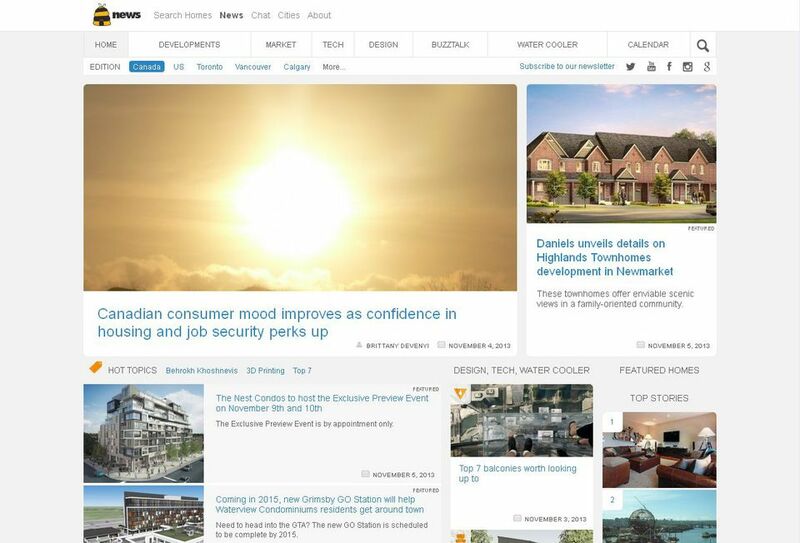 Next to its detailed reports on current and future construction developments, Buzz Buzz Home offers visitors articles on real estate market, home design, tech news, and other subjects appropriately coined the "water cooler." You can filter through these categories by choosing a specific country, state, or city. The website itself has a very fresh design that makes it easy to navigate and very intuitive to use. Facebook, Twitter, Google+, Instagram, Youtube, and its own chat forums are among the social media regularly used by the Buzz Buzz Home team. Jay Banks is among the senior real estate agents with a lot of experience, but that doesn't mean he doesn't use and appreciate modern trends and technologies. Quite the contrary, in his blog section, named simply "Vancouver Real Estate News," you can see a large array of topics ranging from actual real estate and mortgage news to various insights on new technologies for your home (such as apps for smartphones). Some of the other topics are tips on how to make your home cozier or where to go for entertainment or a meal in Vancouver. Themes are usually well balanced, uniquely written, and, of course, regularly updated. Jay's social activities are on Facebook, Twitter, Google+, and LinkedIn. Thanks for sharing your post. Good content! Hi! great post.Awesome content.Thanks for sharing such a useful blog. This is quite a nice list of individual blogs that can help out a buyer know his way around Vancouver real estate market.